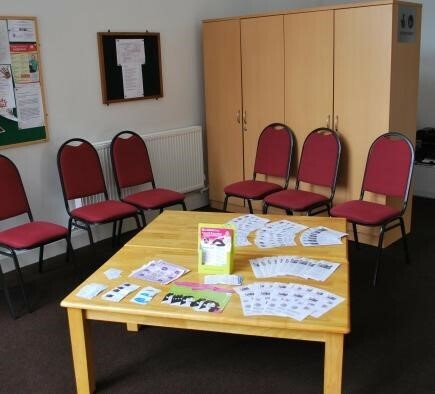 This venue is a thriving multi-purpose resource that provides a wide range of services, activities and a meeting place for people of all ages. 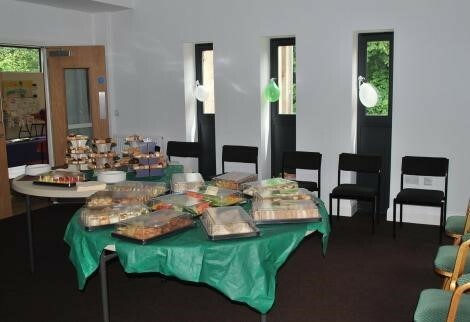 The Community Centre is an ideal venue for family social events, meetings and much more. 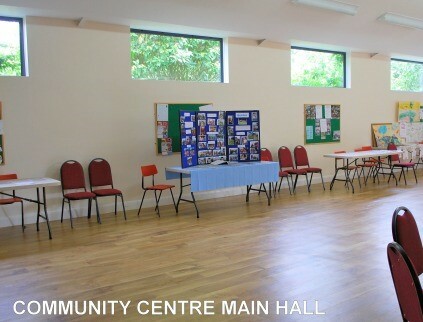 There are a variety of local agencies and organisations that use the Community Centre on a regular basis for their events and delivery of services. You may be interested in learning more about one of the Church User Groups; Trinity Tots, Sunday school, Messy Church, Mother’s Union, Prayer and Fellowship, Guiding and other social events. 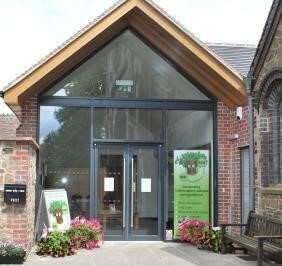 The entrance to the Centre leads into the reception area where the BOB Hub is situated. 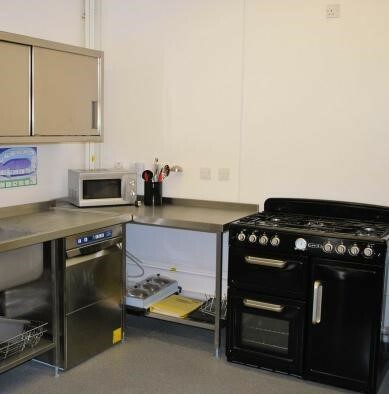 There is a computer with access to the internet and a telephone service with free phone calls to a variety of services.The toilet facilities are fully equipped and include disabled and baby changing equipment. The kitchen meets professional catering standards, is fully fitted and equipped with a dual fuel range cooker, fridge and dishwasher. 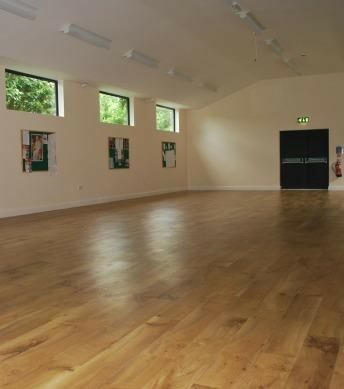 The large hall is 60ft x 28ft (18.3m x 8.5m) with a brand new floor. The tasteful, upholstered chairs and choice of circular and rectangular tables compliment the neutrally decorated walls. The meeting room is 18ft x 17ft (5.5m x 5.2m). This room is perfect for smaller group meetings, or can be used as an extension to the main hall. An extension, comprising of a large Conservatory measuring 18ft 4" (5.6m) x 13ft 8" (4.2m) is accessible from either the kitchen or reception area. Adjacent to the Conservatory is a patio area where tables and chairs provide additional facilities for relaxation when weather permits. Hartshill Community Centre is a growing facility, so why not come along have a look around to see for yourself what is on offer, join in the activities, start a group of your own or make a booking for your special event! Pop into the Community Centre on a Tuesday between 10:00 a.m. to 2:00 p.m.
A great team of vounteers serve tea, coffee, delicious bacon batches, jacket potatoes, cakes and more!